Whiteley S Original Hidden Hand Co.
Whiteley's Original Hidden Hand Co.
Whiteley S Original Hidden [hand] Company Grand Majestic Revival. 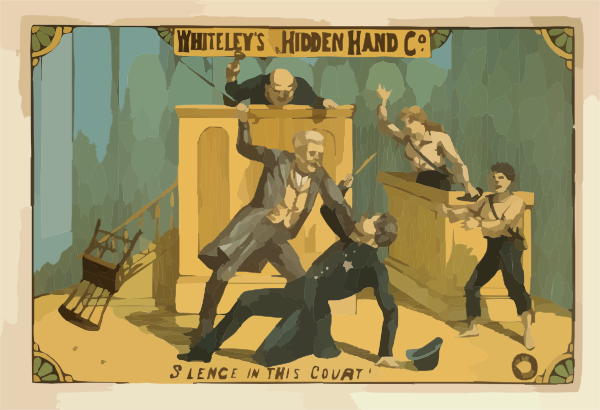 Whiteley S Original Hidden Hand Co. The Comedy Event. Whiteley S Original Hidden Hand Company Presenting An Entirely New Dramatization Of The New York Ledger S Greatest Story By Mrs. E.d.e.n. Southworth, The Famous Southern Novelist : The Greatest Sensational Drama Ever Written. Hand & Glove A New & Powerful Domestic Drama Of Original Incidents : Written & Constructed By Geo. Conquest And Paul Meritt Of London.